1. We watched Footloose over the weekend. It was AWESOME. I mean I’m not one for remakes….. Who am I kidding, I’ll watch a remake of anything at least once. 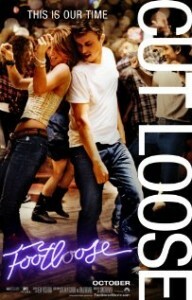 Sure it seems blasphemous to remake something as awesome as Footloose, but it has dancing and that was enough for me. 2. I bought those boots I’ve been obsessing about. Now I’m checking my inbox constantly for the “We’ve shipped your items” e-mail. 3. 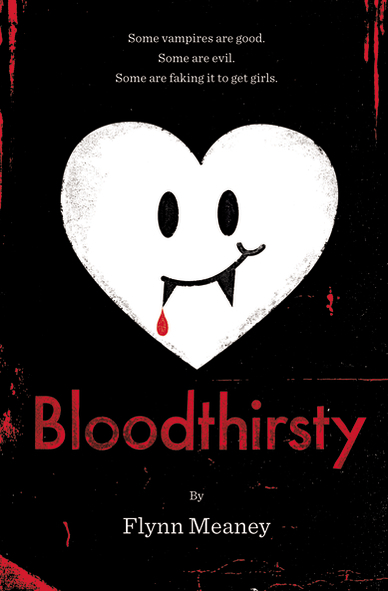 I read Bloodthirsty over the weekend. Don’t judge, it was on sale for $2.99. Cheesy teenager book about a kid that pretends to be a vampire to be popular. Aren’t we all pretending, Finbar? 4. I’m going to Denver this weekend. Bust out the boots and the heavy jackets people. Glorious. 5. We cut our cable. Not literally with scissors. More with a call to Customer Service saying thanks, but no thanks. So far so good. I miss the Oprah Network, though. 6. I am a fan of the Oprah Network. Before we cut our cable I watched a couple of episodes. I found myself crying through most of the show. Too bad we cut our cable. 7. I made my first ever smoothie containing Kale. That’s right, Kale – green leafy vegetable that is quite abundant and a recent popular food among crazy super healthy eaters. I liked it. I’m just as shocked as you are. 8. Because of #7, we bought a vitamix. I can’t wait. 9. In an effort to buy local, the family went to the Farmer’s Market. I should have known better when the vendor explained the pineapple was from Costa Rica. Not so local. Apparently there aren’t as many local farmers and they are usually in a different building. Fail. Try again next time. 10. I really want my own chickens. Our neighborhood doesn’t explicitly publish that chickens aren’t allowed, but I’m pretty sure someone would rat us out. Not to mention, those poor chickens wouldn’t be able to lay an egg with a crazy neurotic Weimaraner barking at them. 11. 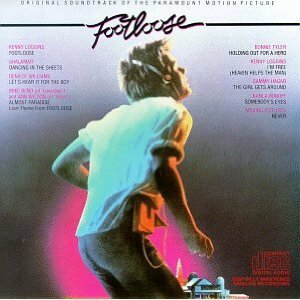 Did I mention that I sang out loud to the Footloose theme song, when the movie started? I was so close to dancing, but I stopped myself. This entry was posted in Just because, My Favorite Things. Bookmark the permalink.